The C25K Programme returns on Monday 30th April. Keep an eye on the C25K Facebook group for more information. In 2016, Lee Aherne suggested that we look at setting up a running programme for absolute beginners. Having started running using C25K I suggested it was what we could use. The main reason for setting up the programme was to share our love of running. Its a passion for all of us in the Club regardless of our backgrounds (lifelong runners including people who’ve represented their Country, through to people who’ve only been running a year or 2). For us all its an important part of our lives and something we realised we could share! 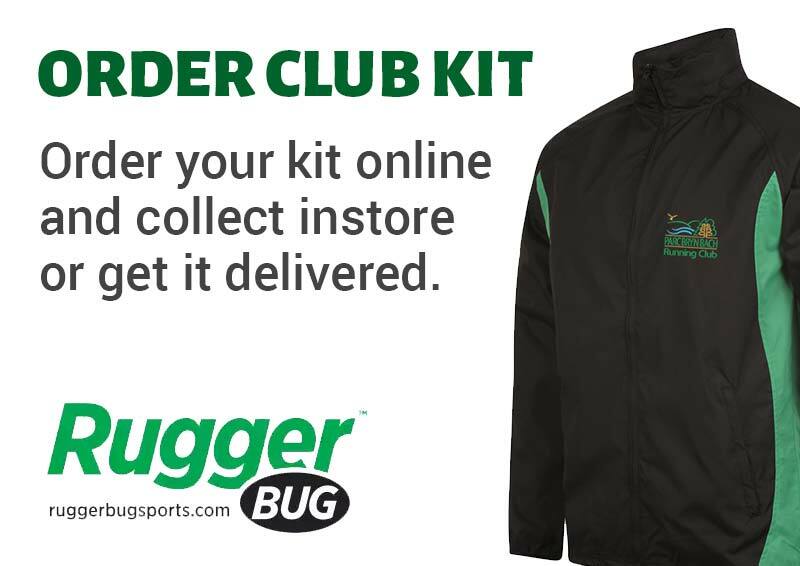 Its also great that we’re also helping to make some of our local community fitter and healthier. C25K is a run/walk programme that will take just about anyone from no exercise to being able to jog/run for 30mins without walking. It is designed to not only improve your cardiovascular fitness (how out of breath you get) but as it slowly increases the running and decreases the walking elements it prepares you muscles and joints for running further/ for longer in a way designed to minimise injury risk. The focus is on time running and not on distance – so pace isn’t important. Despite the catchy name the programme is designed to get people running for 30mins. For new runners this is likely to be less than 5K but this doesn’t matter! Once you can run for 30mins you’ll know you can run 5k as it’ll only be a couple of minutes more running. This is why the last session is a parkrun so everyone finishes having run 5K. There are loads! Physically, it improves your cardiovascular fitness (so basically its good for your heart and lungs). It helps improve bone health especially in women as its been shown that regular weight bearing exercise helps reduce loss of bone density(osteoporosis), it’s great for burning calories, its actually good for your knees despite what non-runners will tell you. Mentally, it helps reduce stress levels, helps reduce insomnia, the release of endorphins during and after running is a natural mood-enhancer (the ‘runners high’ is real!) which helps with depression. Lastly but important for this group is the social aspect it helps people make friends and work together to achieve something that many feel when they start is too hard and unachievable. In the 1980s, when I was a kid at school, I hated running as the PE teachers made it miserable. However, I was a keen footballer before ladies’ football was a ‘thing’. When I went off to university in the early 90s, I played ladies’ football, but after that trying to build my career and life in general just got in the way. That is when the weight piled on. I did lose some weight (around 6 stone) for my wedding, along with my fiancé. However, I promptly put it back on again, plus a fair bit more. On my 40th birthday, in September 2012, I had a bit of a midlife crisis and bought a kayak – something I was keen on as a youngster – and realised I was fat and unfit… to say the least! I decided I wanted to be fitter, but wasn’t sure how without it being either temporary, or making me miserable. In April 2013 I started to work through my issues, did some reading, started counting calories and joined the gym (swimming and the Elliptical machine at first). At this point I weighed 22 stone. It was in May that same year that I started to follow the Couch to 5K program in the darkest corner of the gym, and by the August I did my first 5K on my own. That turned into my first parkrun in November where I first met some of the parkrun regulars and PBB runners. They gave me huge encouragement and because of them (in particular Lee Aherne & Dave Kempton at parkrun and Clive Cooksey, Kath Jervis & Margrett Monk when I went along on a Thursday to Club training and also Clive with weekend runs and kicking off the FS group) I joined Parc Bryn Bach Running Club. I did my first 10K the February after and my first half-marathon in June 2014. In March 2015 I took on the challenge of my first ultra-marathon, the 33-mile Vale of Glamorgan trail race. This was also my last long run before I was lucky enough to run in a Club place in the London Marathon in April, which would be my first marathon. In the three years leading up to this point, I had lost almost 10 stone. At the time of writing (Jun-17), I’ve completed 6 marathons and 2 ultra marathons, over 100 parkruns and numerous half marathons and 10ks. I’ve also recently joined a fell running club to complement my growing love of mountain running (I’ve even run in the World Mountain Masters and wasn’t last!). I now have about 2 stone left to lose, but enjoying my running is the priority. The last four years have brought a huge change to my life. Mostly through an increase in confidence, but also in people’s perception of me. I’ve changed job twice (both a step up the ladder), I’ve now got a dog (Bronwen, my Border Collie – a future running buddy) and I have far more energy. I’m also an addict and broke as a consequence – running is not a cheap addiction to have! The best part is finding a growing love of off-road running, which has been driven by where I live. I may have a bit of a reputation for the races I pick as I like a challenge. I don’t always succeed but I’d rather try and fail than let fear hold me back from trying in the first place. I’ve ditched fad diets and made lifestyle changes where I eat a bit less than I burn (got to have beer, gin and chocolate – I can’t live on salad!) and fell in love with running in beautiful places. Job (almost) done! Not much then in 4 years starting with C25k! Each session we hold during the programme is memorable in its own way but here are three stand-out moments since starting the programme in 2016. The forecast was for wind and rain, Lee and I thought we’d be lucky if we got 15 people turn up. We were amazed and slightly nervous when 80 turned up. In fact every session it surprises us and inspires us how people keep coming back and the determination they show. We had loads of extra helpers as it’s a big step up in the programme and we knew they’d need lots of encouragement. When we blew the whistle to end the run there were tears of joy, hugs and Hi-5’s everywhere (and not just from the runners!). It was an awesome feeling and remains my most favourite session we do. I’m used to talking to large groups but even I was wobbly with nerves with 250 expectant but scared looking faces expecting me to tell them how we’d make them into runners in only 8 weeks. Approx 80 turned up for the first session of which around 40 completed the course. Approx 60 turned up for the first session of which around 30 completed the course. From 2016 around 20-30 run regularly with First Striders with a number having joined and represented PBBRC. 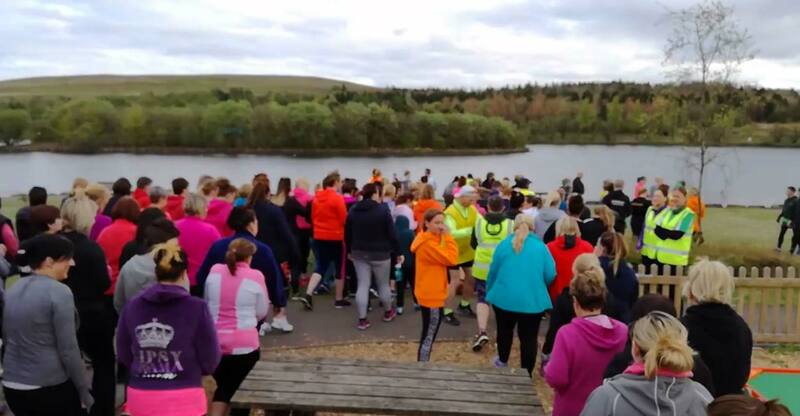 Approx 250 turned up for the first session and the numbers continued throughout the programme with approximately 120 runners attending the graduation parkrun. After attending Junior parkrun for 2 years, my 10 year old son at the time wanted to run longer distances and was keen to run parkrun on a Saturday. Due to his age he wasn’t allowed to run it on his own and neither my hubby or I were runners. It was only by chance I saw a post on Facebook announcing the start of the C25K programme. I didn’t tell my son that I was going to do this as I wanted to surprise him at our first parkrun. I almost didn’t attend the first session, I was delayed in work and normally it would have been impossible to get back from Cardiff in time but I was obviously meant to go because the roads were clear and I got to Parc Bryn Bach in time. It was inspirational listening to Sam’s success story and it helped spur me on during those difficult runs. There were points I almost gave up but the motivational words from each of the volunteers at every training session made the whole experience fantastic and helped me finish the programme. I will never forget my first parkrun. I ran with fellow C25Ker and now my dear friend “Linda Hoskins”. We pushed each other around that lake and the continuous encouragement from Terry (volunteer) helped to get us to that finish line. It was an incredible feeling, one that will always stay with me. My weekends now almost always starts with parkrun, followed by tea, free toast and long chats with fellow runners. Since C25K I joined First Strides with fellow C25K graduates. Training nights were more like socials because there was as much chatting/laughing as running. C25K introduced me to a very special group of people.. people who I now call my friends and my running family. In January this year I joined Parc Bryn Bach Running Club, mainly for the green vest. I am so proud to be part of the #GreenArmy. the camaraderie in the club is a beautiful thing. I am not a fast runner, nor a good runner but I AM a runner. I could not imagine my life without running or my running family. I haven’t lost any weight running but it has kept me from piling on the Lbs. (I love my food too much) I am fitter and no longer out of breath when going up or down stairs. It’s also lovely to be able to run with my eldest son, often going for 10K runs together, it has brought us closer. Most importantly running is my form of therapy. It has helped me get through some difficult times this last year and has kept me steady and able to face another day. A huge thank you to all the members at Parc Bryn Bach RC. For your encouragement, support and friendship. Louise started the programme to improve her fitness and to assist with weight loss. She was keen to discover whether she could really go from barely being able to run for a minute to running 5K non-stop. Whilst Louise hasn’t run an official 5K yet, she is incredibly delighted and proud to have completed a 5K training run by the middle of week 8, and in less than 28 minutes. She is very grateful to all the fantastic volunteers who’ve encouraged all the of the C25Kers every step of the way. During the eight week course, Louise has also also been going to Slimming World and with a combination of diet and exercise, shes shed three stone! She feels fantastic and fully intends to carry on running to stay fit long term. Rachel joined the programme in April, 2017 after trying slimming clubs but found that they were generally a waste of money. The programme has helped her feel so much fitter and healthier and she is eating better than when she was with a slimming club. Whilst she says she hasn’t lost any weight, she’s noticed a change in her body shape and feels really good in herself. Nicola is looking forward to joining the First Strides and we hope that she will progress to joining PBBRC in the near future. Nicola joined the programme in April, 2017 so that she could do something positive about getting fit and losing weight. Before starting she could barely run for a minute without collapsing but she is now capable of running for 30 minutes. Michelle joined in April, 2017 so that she could loose weight and become fitter. Even though she hasn’t been able to make many of the team-led sessions, she’s disciplined herself to keep following the programme. When she could make a session, she did find the volunteers to offer excellent support. With a personal goal of becoming fitter and lose weight, Sue completed the C25K programme in September 2016. Since completing the programme she went on to join the First Strides and is running at least three times a week. She tries to run parkrun every Saturday and has progressed to completing a 10K race in Cardiff, an achievement that probably felt so unreachable when she started the programme. Catherine joined the programme in April, 2017 so that she could improve her physical health. She’s noticed an improvement in her physical health, feels much happier and proud that she can exercise. Claire completed the in August 2016 and like many on the programme was unable to run before starting. Since starting her body shape has changed and she is eating healthier but still enjoys to indulge on occasions. She has joined the First Strides and has run a number of 5K and 10K races and is able to run 8 miles without stopping. She’s aiming to finish her first half marathon in Cardiff in October. Lindsay joined the programme in April, 2017 so that you could do something for herself. Emma Jones was inspired by her sister completing the Cardiff Half Marathon and wanted to get fit and healthy so joined the programme in April 2017. Half way through the programme she was able to run 5K. She is working on increasing her running time on a weekly basis and is looking into joining First Strides. She has also been losing weight from areas that she had struggled to lose weight from before. Katie joined in April, 2017 in order to get healthy and before the end of the programme managed to run 5K. Angharad completed the programme last year and joined because she had unsuccessfully tried to complete the programme on her own. She joined the group and loved every minute of it. A knee injury meant that she couldn’t run for 8 weeks. This year she joined the programme again. Vicky joined the programme in April 2017 with the aim of losing weight and becoming fitter. After completing the programme she is going to join First Strides so that she can stick to her goal of running at least twice a week. Clare joined the programme in April, 2017 as she had always wanted to run properly. If by the end of the programme you have caught the running bug, why not join our First Strides Group? The group provides the perfect base for those newer runners to progress. All sessions are led by Welsh Athletics qualified Leaders in Running with tailored sessions to suit various abilities. First Strides meet every Tuesday at 6.20pm for a 6.30pm start at Parc Bryn Bach during the Summer and Tredegar Leisure Centre during the Winter.